We love this super cute T-Shirt. 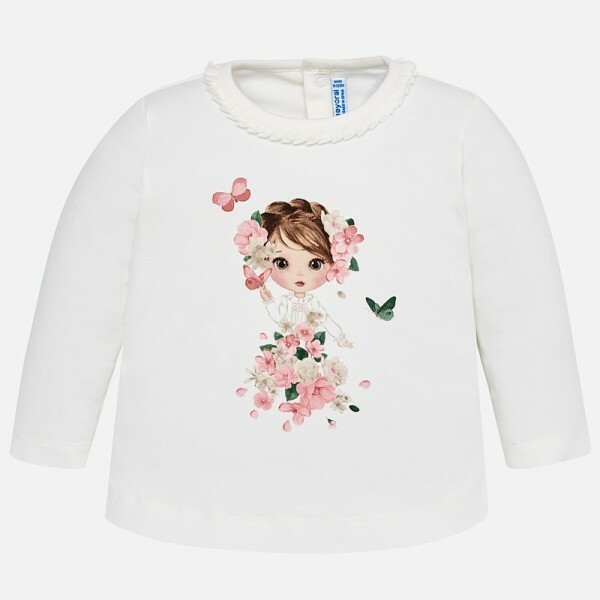 Made in soft cotton jersey fabric in ivory, with pleated detail around the neckline, it has a really sweet little girl carrying glittery flowers on the front. Bright, stylish and very sweet, it's a wonderful way to celebrate the season in style. The sparkle print is exceptionally cute - everyone is going to be commenting!